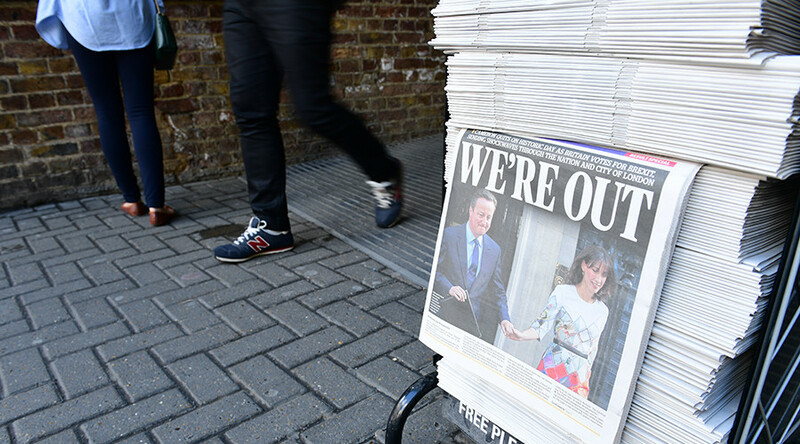 The political fallout from Britain’s decision to leave the EU is continuing. Europe is at odds at how quickly the UK should start the process of leaving the bloc, while Scotland is plotting its own referendum on whether to gain independence from the UK. Scotland has been getting backing for its case of trying to be part of the EU on the continent. Gunther Krichbaum, a senior lawmaker and ally of German Chancellor Angela Merkel says an independent Scotland would be welcome to join the EU. "The EU will still consist of 28 member states, as I expect a new independence referendum in Scotland, which will then be successful," he told the Welt am Sonntag newspaper, as cited by Reuters. "We should respond quickly to an application for admission from the EU-friendly country." The President of the Czech Republic Milos Zeman also said that Scotland would be able to join the EU if it breaks away from the UK following a referendum. “From an economic and political point of view, the loss of the UK is a loss. I believe that Scotland will hold a referendum and join the EU,” he said. Chief executive of the Leave campaign Matthew Elliott says they are in no rush to start negotiations to leave the EU. He believes it would be better to start informal talks regarding a full settlement, which would include all aspects of Britain’s relationship with the EU. "We don't think there is a need to swiftly invoke Article 50," he told Reuters. "Its best for the dust to settle over the summer and during that time for there to be informal negotiations with other states," he added. The UK’s Financial Services Commissioner Jonathan Hill has resigned, leaving Britain without representation in the EU commission. "I don't believe it is right that I should carry on as the British commissioner as though nothing had happened. I have therefore told (European Commission President Jean-Claude Juncker) that I shall stand down,” Hill said. Slovakia’s far right People’s Party has launched a petition for a referendum on whether the country should remain in the EU. Under Slovak law, if the petition manages to get more than 350,000 signatures from the country of 5.4-million population, a legally-binding referendum will be held. "The Citizens of Great Britain have decided to refuse the diktat from Brussels. It is high time for Slovakia to leave the sinking European 'Titanic' as well," the party said on its website, as cited by Reuters. Scotland’s First Minister Nicola Sturgeon is to seek direct talks with the EU leadership and presumably with European Commission President Jean-Claude Juncker, European Council President Donald Tusk and the president of the European Parliament Martin Schulz in the coming week, the BBC reports. Francois Villeroy de Galhau, an ECB Governing Council member, has stated that talks on Britain leaving the European Union must be carried out quickly in order to curtail uncertainty amid concerns that London's financial center risked losing its "EU passport." London-based banks rely on a so-called EU passport to freely operate across the bloc's capital market. Some banks have warned, however, that they would shift operations to the eurozone if Britain left the EU. Villeroy told France Inter radio that the City of London will be unable to keep that passport if Britain leaves the EU's single market of trade in goods and services, Reuters reported. "There is a precedent, it is the Norwegian model of European Economic Area, that would allow Britain to keep access to the single market, but by committing to implement all EU rules," Villeroy said. "It would be a bit paradoxical to leave the EU and apply all EU rules, but that is one solution if Britain wants to keep access to the single market," he added.